In a previous study we found an expansion of circulating memory (CD45RO+) CD4+ T cells in patients with Crohn's disease (CD). The aim of this work was to investigate the phenotypic and functional characteristics of this T-cell subset in CD. We analyzed in peripheral blood CD4+CD45RO+ T cells from CD patients the expression of surface markers associated to immune activation, costimulation, and apoptosis. In sorted CD4+CD45RO+ T cells apoptosis was quantified by fluorescent annexin V binding. Healthy subjects and patients with ulcerative colitis and acute bacterial enterocolitis served as control groups. An increased percentage of memory CD4+CD45RO+ T cells lacking the expression of costimulatory receptor CD28 was detected in patients with active CD when compared to the other groups evaluated. This expanded CD4+CD45RO+CD28null T-cell subset expressed mostly the effector-cell marker CD57+. Both CD28 downregulation and CD57 expression correlated to CDAI and surrogate markers of disease activity. These phenotypic changes observed on CD4+CD45RO+ T cells from active CD returned to values similar to healthy controls after clinical remission. Moreover, this memory CD28νll T-cell subset might express more intracytoplasmic TNF and IFN-γ than their CD28+ counterpart. Significantly lower frequencies of memory CD4+CD45RO+ T cells expressing CD95 apoptosis receptor were found in patients with active CD. Moreover, sorted CD4+CD45RO+and CD4+CD45RO+ CD28null T cells from patients with active CD exhibited a lower apoptotic rate than that found in healthy controls and inactive CD patients. 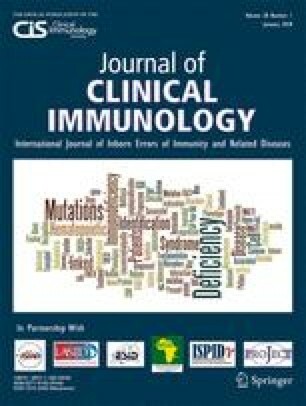 According to our data, circulating T lymphocytes from active CD patients show distinctive phenotypic and functional changes, characterized by an expansion of memory CD4+CD45RO+CD28null T cells expressing effector-associated cell surface molecules and displaying enhanced resistance to apoptosis.